Being a reliable supplier, we offer High Temperature Marker that is industrial grade valve action paint marker used in metal and steel industries. The markings made by the marker remain permanent at high temperatures up to 450 degrees. It can make markings on any surface. Our quality experts carry out strict quality check to ensure the functioning and performance of the product in compliance of set industry standards. We offer Dye Resist Textile Marker that is available in an Aluminum tube that finds application in the textile industry for highlighting the identification on the fabric before it goes for dyeing or printing. The main feature of this product that attracts our clientele is that the marking remains permanent on the fabric even if it goes for a wash, bleach or dyeing for that matter. We have a team of skilled and professional workers who make sure to carry out a proper quality check before dispatching on various quality parameters. Also, the product is highly efficient. 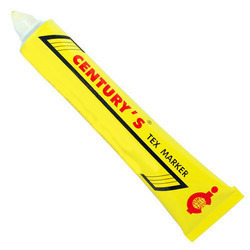 Spotted amongst the top most suppliers, we offer Textile Marker. It is used for permanent marking in fabrics in textile industry and dye houses. Available with us is 3 point sizes for different type of fabrics that withstand dyeing, bleaching, scouring and other finishing processing of cloth. Also, our markers are much appreciated by our clients who rely on us for quality-based products. 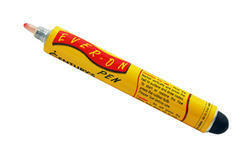 Recognized as a leading suppliers, we offer Everonn Marker to our clients. 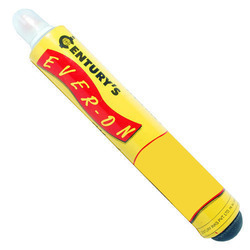 These Everonn Marker are an Aluminum cigar type sturdy tube, which is used in the dyeing houses in processes like dyeing, scouring, bleaching, hosiery, knitting & weaving of grey fabric. The product is available at affordable price and wide range of specifications. 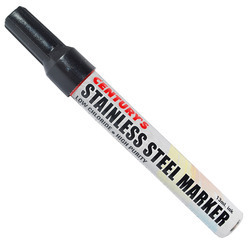 We are offering Stainless Steel Marker which is used to mark on nuclear pipes, carbon steel, nuclear parts etc. The marker ink is laboratory certified and xylene free. It is an industrial grade valve action paint marker. It possesses low chloride content and also known as Nuclear Grade or High Purity Markers Pen. Supreme quality marker is used to manufacture and design the product tested out on various parameters. 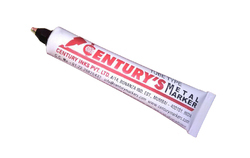 Century’s Tube Type Metal Marker is a unique marking device for permanent & fade-proof marking on any surface. It has special viscous ink formulation similar to paint which remains permanent on steel, alloys, metals, concrete, glass, rubber, wood & even plastics. It can mark on wet, dry, dusty, oily, greasy & even extremely rough surfaces with ease. 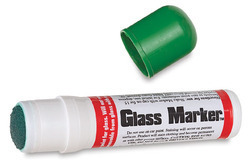 We are engaged in offering Glass Marker which is one of the industrial grade valve action paint marker with felt tip that can withstand heat up to 480° C & even more. 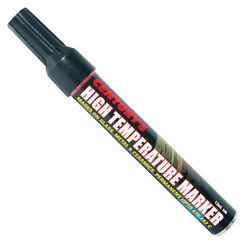 A high temperature marker, this finds usage in glass and ceramic industry. We use optimum quality raw materials and cutting-edge techniques to manufacture and design our product. The offered price range is affordable and feasible for our clients. Established in the year of 1985, Century Ink Private Limited is the largest manufacturer leading and prominent organization of this domain engaged in trading, wholesaling, exporting, manufacturing and supplying a wide range of finest quality Permanent Industrial Markers. Our product range encompasses best quality Century Metal Marker, High Temperature Marker and Metal Marker. Offered products are manufactured and designed by utilizing optimum grade basic material in strict adherence to the set industry parameters. These products are highly admired by our clients for their results and flawless finishing standards. To meet the varied demands and needs of our wide client base, we are offering these products in various technical specifications. Our clients can avail these products from us at leading market price. 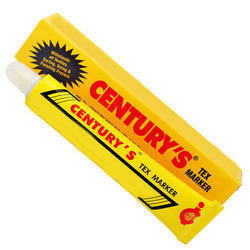 We offer our products with the Brand of Century. To manufacture our offering in accordance to the set parameters by the industry, we have established a well-equipped and advanced infrastructure facility at our premise. We have installed all the progressive tools and machines at our facility to manufacture the offered products in bulk. To compile our business related tasks in best possible manner, we have appointed a team of well qualified professionals. Our professionals are working with full dedication and proximity with each other and ensure hassle free working environment.